Spreading out beneath the majestic Alps, inland Provence is begging to be explored, and Eurostar has heard its cry. With handy services to Avignon and on to Aix-en-Provence during summer, Alice Lloyd tells us why this is the perfect opportunity to soak up some sun, take in the sights and make the most of the area’s delicious local produce. 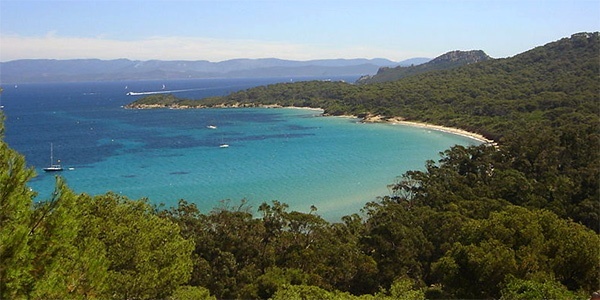 Provence’s Mediterranean climate makes it an easy choice for bronzing sun-worshippers and, while the timeless coastal cities of Marseille, Nice and Cannes are glamorous destinations, there’s plenty to get excited about a little further inland. The classic French countryside, sprawling vineyards and picturesque lavender fields have grown into iconic symbols of the region, while the world-class Roman and medieval architecture is a real treat for culture-vultures. Add charming villages, bustling festivals and plenty of gorgeous places to stay, and it’s easy to understand why it’s an absolute must-see. 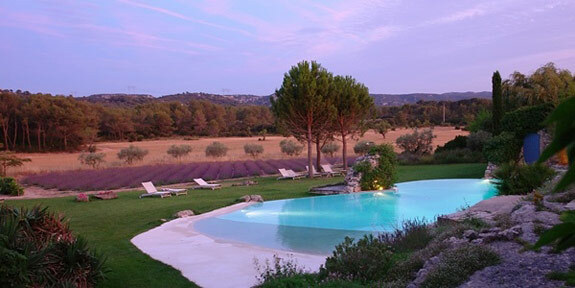 Even Provence’s name is a nod to its rich history (the Romans named it provincia nostra, “our province”), so expect a journey through its landscapes to be a journey through history. The region has seen the influence of the Greeks, the Romans, the Goths, the Saracens, the Gauls, the Catalans and the Franks, not to mention Avignon’s papal stint in the 14th century. Eurostar runs direct trains to Avignon from July until September, so it’s a great place to kick off your Provence getaway. The town’s ancient centre was declared a UNESCO World Heritage Site in 1995, with the Romanesque Notre Dame des Doms and the grand Palais des Papes taking centre stage. The Gothic fortress is the anchor of the city; it attracts around 650,000 visitors a year and was built in the 14th century, when Pope Clement V abandoned Rome. 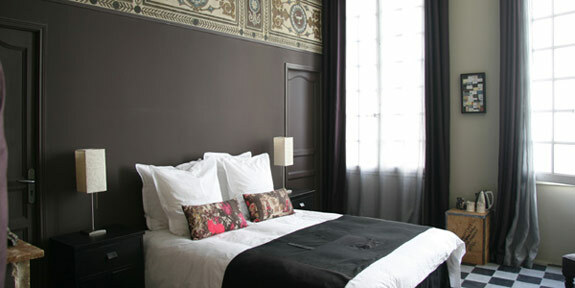 For those looking to stay in the ‘City of Popes’, La Mirande’s position opposite the papal palace is hard to beat. 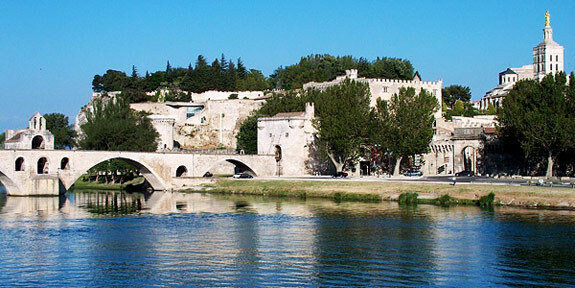 Just a short drive from Avignon is the Pont-du-Gard. 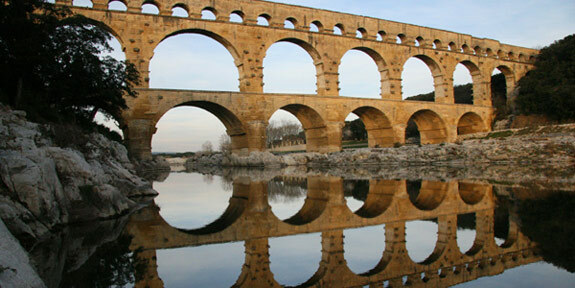 At nearly 50m tall and 275m long, this 3-storey aqueduct is one of the largest remaining Roman structures in the world. Built in the 1st century AD, it’s another of Provence’s UNESCO World Heritage Sites. Stay nearby at L’Albiousse and you’ll also get to enjoy the magical medieval town of Uzès. With fantastic weekly markets and beautifully preserved architecture, it’s one of our favourite towns in the south of France. A little north of Avignon are the vineyards of the Côtes du Rhône, the best known being Chateauneuf-du-Pape. Here there are cellars to be visited, bottles to be sampled and fortunes to be spent. 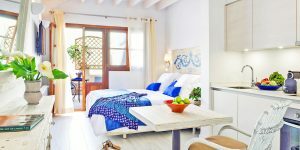 Make the most of rural Provence by staying in the pretty and purse-friendly Maison Felisa, in the village of St-Laurent-des-Arbres. 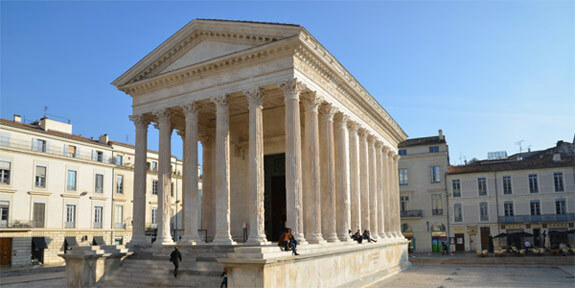 For more stunning Roman relics, drive west to Nîmes. The town has a 1st-century temple (the only fully preserved Roman temple in the world) and a well-preserved amphitheatre, as well as more modern attractions like the Jardins de la Fontaine and the contemporary art museum. 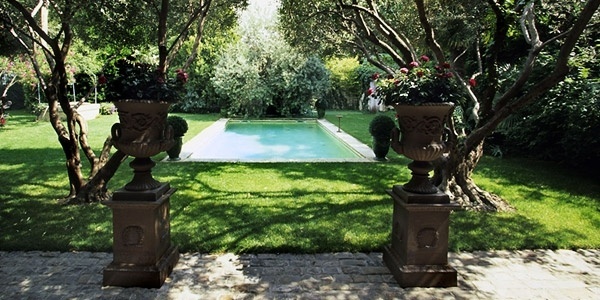 Jardin Secrets, an 18th-century townhouse, offers a lush oasis in the heart of the action. Towards the coast is the enchanting city-commune of Aix-en-Provence (part of Eurostar’s ‘scenic route’ through the south of France). It’s known to some as the ‘city of a thousand fountains’, and many of the most magnificent examples can be found along the Cours Mirabeau. You might say it’s the Champs-Élysées of Aix, and a stroll down this 440m-long avenue of cafés, bistros, fountains and plane-trees is a delightful way to spend an afternoon. 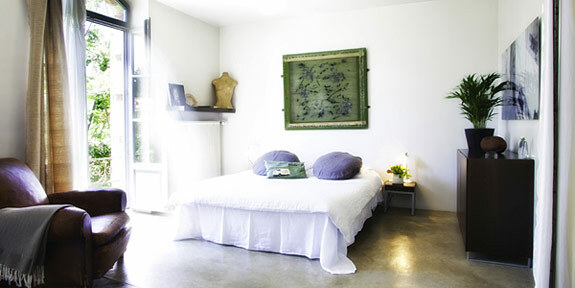 Guests staying at Le Mas de la Rose are just a 40-minute drive away, making it ideal for a day trip, too. Spring brings warm days minus the tourist hoards. Autumn offers spectacular golden vineyards, but the lavender fields are at their best in summer so you may want to risk the crowds for those quintessential views – Plateau de Sault and Plateau de Valensole are particular hotspots. 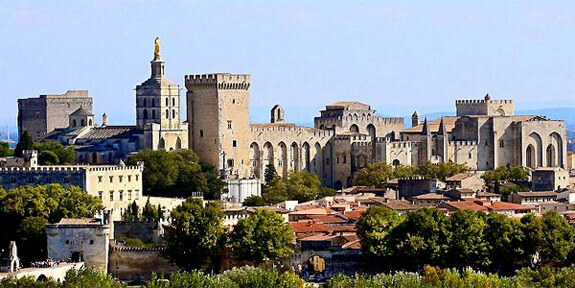 In June, the Musique dans la Rue festival attracts a lot of visitors with open-air jazz, classical and pop concerts throughout Aix, while in July you can experience Avignon’s theatre festival at the Palais des Papes. October and November can bring rain, but with an average of 300 sunny days a year, even winter can be a delightful time to visit. Most people hire a car when holidaying in Provence, so why not extend your trip by travelling down to the towns and cities of the Côte d’Azur? 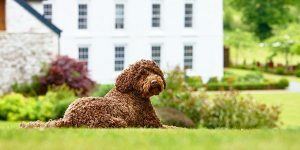 Down on the coast, there’s atmospheric Antibes with its covered market, the boutique-lined lanes of St Tropez, the fabulous yachts of Cannes and the museums of Nice; all a delight if you can only pull yourself away from the pool. 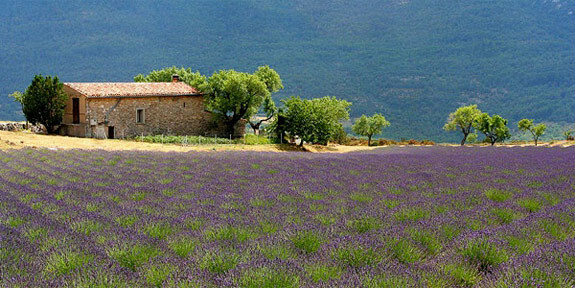 See our destination guide for more information on Provence.